Is your dog vomiting then trying to gobble it up? This behavior may seem bizarre to us but in the dog world it is par for the course and is considered a delightful course indeed. Dogs probably strive too hard to eat their vomit because 1. their mothers regurgitated food for them when they were puppies and 2. their heightened sense of smell reveals the actual food particles in it. A dog being examined by a veterinarian. Photography by Shutterstock. This may seem silly but it helps to know the signs of a dog getting ready to vomit so you can have necessary equipment on hand before the expulsion. A well-prepared dog owner can recognize the signs of dog vomiting, grab her cleaning carrier and paper towels and beat the vomit to the floor. It can also help you prepare in case it is a situation where you’ll need to get help immediately. Safe is always best so if you have any reason to be worried, call your vet or the emergency clinic immediately and go there. Also, look for signs of poisoning or obstruction. These include chills, shaking, breathing difficulty, seizure, drooling or staggering. And when you check your dog’s vomit, if you see any more than a few drops of blood or any amount of yellow bile, take him to the emergency vet ASAP. Why is My Dog Throwing Up White Foam? Does Your Dog Throw Up Bile? 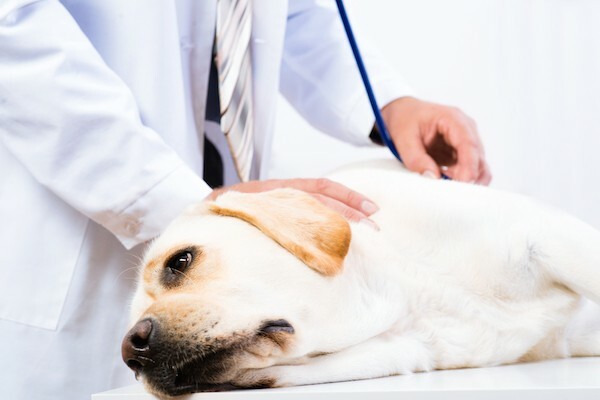 The post Dog Vomiting: What Canine Parents Need to Know appeared first on Dogster.